Now that the "election" is OVAH, we got at least 4 years of The Donald to deal with here. I am kicking off this thread with the latest Newz, that His Trumpness has now tapped such Wall Street notables as Stephen Schwartzman and Jamie Dimon as his advisors on Jobs. Yup, he's a real CHAMPION of J6P! lol. President-elect Donald Trump turned to some of Wall Street’s biggest names on Friday to create a panel of business leaders that will give him strategic advice on the economy after he takes office, including two financiers with deep Democratic roots. Blackstone Group LP Chief Executive Officer Stephen A. Schwarzman will chair the President’s Strategic and Policy Forum, which will begin meeting with Trump in February, after his inauguration, according to a statement from his private-equity firm. JPMorgan Chase & Co. CEO Jamie Dimon and BlackRock Inc. Chairman and CEO Laurence Fink, major donors to Democratic politicians, will also sit on the panel. Presidents traditionally turn to business leaders for advice on the economy. For example, President Barack Obama named CEOs from companies including Xerox Corp. and Dow Chemical Co. to an advisory committee on international trade, while Schwarzman has partnered with the current administration on efforts to hire veterans. Dimon, 60, has led JPMorgan since 2005. Unlike competitors, it remained profitable during the financial crisis. A self-described Democrat who has advocated liberal positions, he’s also the banking industry’s most prominent defender and an occasional critic of its regulators. He was at one time rumored to be under consideration as Trump’s Treasury secretary. He did not endorse a candidate in the presidential election. Fink, 64, has been critical of Trump in the past. He was once floated as a possible Treasury secretary under Obama or Hillary Clinton, had she defeated Trump. Other panel members include General Motors Co. Chairman and CEO Mary Barra, Cleveland Clinic CEO Toby Cosgrove, Bob Iger of Walt Disney Co., Wal-Mart Stores Inc. President and CEO Doug McMillon, and former Boeing Co. Chairman Jim McNerney. Trump has turned to business leaders, bankers and Wall Street executives to fill his cabinet, selecting former Goldman Sachs Group Inc. executive Steven Mnuchin as his nominee for Treasury Secretary and billionaire investor Wilbur Ross for Commerce Secretary. At a rally in Cincinnati on Thursday, Trump said his administration would include “some of the greatest business people in the world,” brushing off criticism that he has appointed too many millionaires and billionaires. “One of the networks said, why would he put on a billionaire at Commerce? Well, that’s because this guy knows how to make money, folks,” Trump told the crowd. Trump said the business leaders he was selecting for his cabinet were “killers” who would help him implement a sweeping agenda of tax cuts and new trade deals. Many of the business leaders serving on Trump’s panel support some of the trade deals Trump railed against as a candidate, including the Trans-Pacific Partnership that he says he will exit. Other panel members include former General Electric Co. Chairman and CEO Jack Welch, Goldman Sachs’s lead independent director, Adebayo Ogunlesi, who is also chairman and managing partner of Global Infrastructure Partners, and Ginni Rometty, CEO of International Business Machines Corp.
Carl Icahn! King of the Leveraged Buyout! Now chief REGULATORY Advisor to Trumpty-Dumpty! 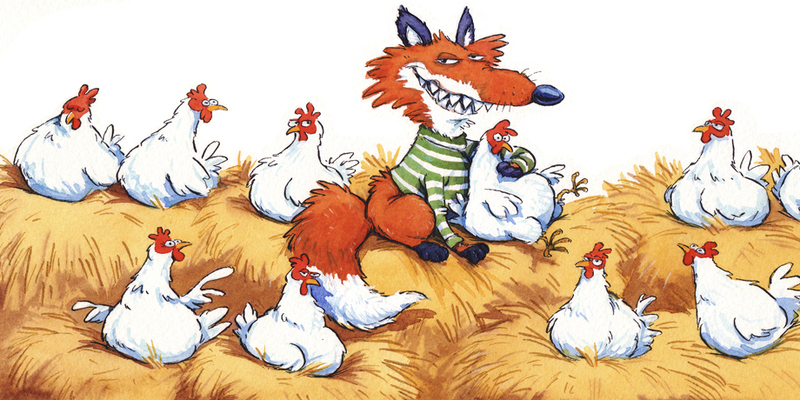 Talk about putting the Foxes in charge of the Henhouse! Yup, The Donald is a real Man of the People alright. The RICH PEOPLE! Billionaire investor Carl Icahn on Wednesday was named special adviser to the president on overhauling federal regulations. Mr. Icahn, who has spent the past four decades battling big companies as an activist investor, already has been wielding influence in President-elect Donald Trump’s transition team. He is playing a central role in selecting the next chairman of the Securities and Exchange Commission, people familiar with the matter said. Interested candidates have reached out to him, and he is interviewing others at the request of Mr. Trump, the people said. The 80-year-old has played a similar role in identifying Mr. Trump’s choices for other important posts. Mr. Icahn, who controls an oil refiner and has spent months berating the Environmental Protection Agency over a rule he says hurts the industry, helped Mr. Trump vet candidates to run the EPA. He weighed in enthusiastically as Mr. Trump considered whether to nominate Steven Mnuchin and Wilbur Ross to run the Treasury and Commerce departments, respectively. Both men were picked for the jobs. Donald Trump selected billionaire investor Carl Icahn and economist Peter Navarro for his economic team, both of whom could jolt trade and regulation. Senate Democrats have launched a campaign against Steven Mnuchin, Trump's pick for Treasury secretary, suggesting his confirmation hearing may be contentious. 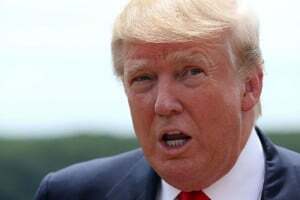 Donald Trump met with the CEOs of the nation’s two largest defense contractors, two weeks after he publicly berated the cost of some of their projects. The nomination of pro-settlement lawyer David Friedman as the Trump’s administration’s new envoy to Israel is winning praise from some in Israel but concern advocates of a two-state solution. Donald Trump is forging a transactional path to the White House, assembling a cabinet based more on pragmatism than loyalty. Messrs. Trump and Icahn say U.S. businesses have been overregulated in the Obama administration, which they argue is causing them to hold back on investments and is slowing the economy. Mr. Icahn will now be a key player in Mr. Trump’s efforts to loosen the regulatory reins. Since the 1970s, Mr. Icahn has been an outspoken critic of many corporate boards, arguing the corporate-governance system is broken and impedes growth. He is a pioneer among activist shareholders, who buy up stakes and push boards to change direction by selling assets, firing the CEO or buying back shares. An influential role shaping federal regulations marks a new chapter in Mr. Icahn’s influence on Wall Street. It would have been largely unimaginable in his early career as a brash outsider who picked fights with corporate titans. He was derided for years as a corporate raider. He was so feared by companies that they sometimes offered to pay him to go away, a 1980s tactic dubbed “greenmail” that was later restricted. Capital Journal is WSJ.com’s home for Trump transition news. In recent years, Mr. Icahn’s views on shareholder activism have gone mainstream. These days, he generally manages to shake up corporate boards with less drama. He has taken stakes in giants such as Apple Inc., Xerox Corp., American International Group Inc. and eBay Inc.
As a prominent activist, Mr. Icahn has much at stake in the next SEC chairman. Activist fights are tightly controlled by the SEC. The agency issues rules that affect activists’ ability to do business and uses its enforcement arm to police their tactics. Activists and their corporate opponents regularly complain about the other side to the SEC. Historically, Mr. Icahn had largely steered clear of Washington. But he was an early backer of Mr. Trump and advised him throughout the campaign. He urged Mr. Trump to support efforts to let U.S. corporations bring home offshore cash and to end the carried-interest tax break that benefits many on Wall Street. 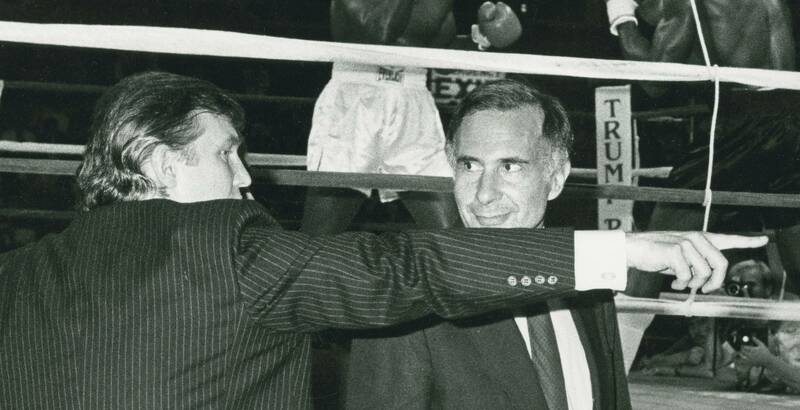 Messrs. Trump and Icahn’s relationship dates back to their time running Atlantic City casinos. The pair sat together for the occasional big boxing match. Mr. Icahn’s wife, Gail, is on Mr. Trump’s inauguration committee. Mr. Icahn is one of a handful of Wall Street powerbrokers who regularly get calls from the president-elect about their opinions on various topics. Mr. Icahn, who calls himself a centrist, has said he wants to give back to the country. He often talks about how he rose from modest means to one of the nation’s wealthiest men. He has rejected criticism that he is only advising Mr. Trump to advance his own interests. The Democratic National Committee reacted quickly to the announcement, criticizing Mr. Icahn as conflicted given his investments and business dealings. “It looks like Trump isn’t the only billionaire set to profit off of the presidency,” spokesman Eric Walker said in a statement. Mr. Icahn has at times compared his helping Mr. Trump to turnaround companies with activism, where he benefits but also makes other shareholders billions. He has said other shareholders don’t complain about his own gains. Shares of Mr. Icahn’s CVR Energy Inc., an oil refiner, have climbed 67% since the election, boosting the value of his investment by more than $600 million. When Mr. Trump said early on in his campaign that he would consider Mr. Icahn as a potential Treasury secretary pick, Mr. Icahn declined the offer, joking he doesn’t get up early enough for the job. This is HILARIOUS. 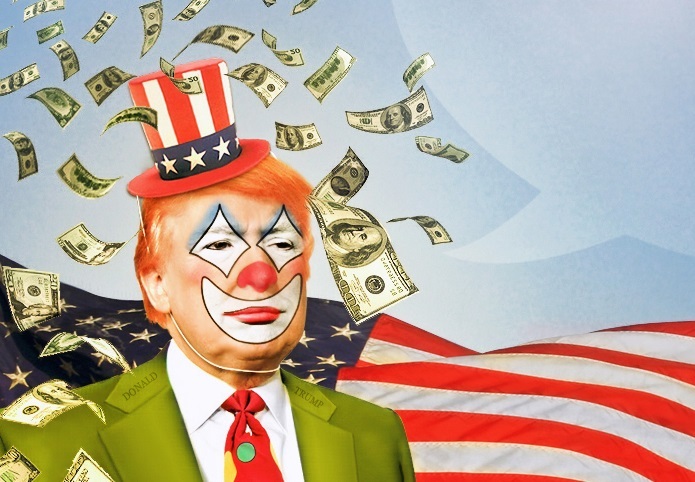 The Donald so far has not been able to get a SINGLE act to come perform at his inauguration, despite having more money than God. Not even Celine Dion would do it, and she is as righty as you get! Performing at the inauguration will be the Trump Family Singers. OMG, is Whitney saying that Trump and Bannon didn't mean what they said during the election, and that they are actually on the side of the billionaires, just like the Republicans and Democrats have always been? Whatever next ? - I expect after a very short romance, Putin will do something that Trump doesn't like, and then rapprochement will be over and Cold War 2 will be on in earnest. Oh come on. It gets funnier by the day! Well, that's the thing with scary clowns. Sometimes they look like clowns who are funny and sometimes they just look very scary. Mostly, this clown looks very scary to me at the moment. I hope a metiorite will come down upon him and his running mate while they are visiting some big patch of desert, so no one else gets hurt. I hope a metiorite will come down upon him and his running mate while they are visiting some big patch of desert, so no one else gets hurt. A bolt of lightning is very targeted. I will raise my Mighty Louisville Slugger to the Heavens with my still good Left Arm I can get above the shoulder level on inauguration day and try to bring one down. The world will thank you. Or, rather, the lighting -- which would be "an act of god" and nothing that should interest ... well, you know who. Indeed, Trump’s election is a triumph of climate denial, and will elevate him to the top of a Republican Party where prominent elected officials have publicly rejected the climate consensus. It’s not that the presidential election was a referendum on global warming. Climate change barely came up during the presidential debates, and voters rated the environment as a far less pressing concern than issues like the economy, terrorism, and health care. But that relative lack of concern signals that voters have not prioritized action on climate change, if they want any action taken at all. Trump’s victory sends a message that failing to embrace climate science still isn’t disqualifying for a presidential candidate, even as scientists warn that the devastating consequences of global warming are under way and expected to intensify in the years ahead. If Trump fails to take climate change seriously, the federal government may do little to address the threat of a warming planet in the next four years. A presidential administration hostile to climate science also threatens to deepen, or at the very least prolong, the skepticism that already exists in American political life. “If the Trump administration continues to push the false claim that global warming is a hoax, not happening, not human caused, or not a serious problem, I’d expect many conservative Republican voters to follow their lead,” said Anthony Leiserowitz, the director of Yale University’s Program on Climate Change Communication. A presidential administration hostile to climate science also threatens to deepen the skepticism that already exists in American political life. The entrenchment of climate-science denial is one of the ways the United States appears to be exceptional relative to the rest of the world. A comparative 2015 study of nine conservative political parties in countries such as Canada, Germany, and Spain concluded that “the U.S. Republican Party is an anomaly in denying anthropogenic climate change.” Meanwhile, Americans were least likely to agree that climate change is largely the result of human activity in a 2014 survey of 20 countries, including China, India, Australia, and Great Britain. Scientific reality does not seem to have escaped the distorting influence of political polarization in the United States. A paper published in Environment earlier this year suggests that as the Tea Party pushed the Republican Party further to the political right, it helped solidify skepticism of man-made climate change within the GOP. That happened as the Tea Party incorporated “anti-environmentalism and climate-change denial into its agenda,” the authors write, and subsequently became part of a broader “denial countermovement” made up of fossil-fuel companies as well as conservative think tanks and media outlets. As the ideological divide between Republicans and Democrats has widened, so has the partisan divide over climate change. Scientific evidence that human activity is the leading cause of global warming has continued to accumulate in recent years, and the evidence for man-made climate change is now overwhelming. In spite of that, Republicans are slightly less convinced than they were a decade and a half ago that the Earth is getting warmer as a result of human activity. Democrats have moved in the opposite direction and become more likely to say that man-made climate change is real. This year, Gallup found that while 85 percent of Democrats believe human activity has lead to higher temperatures, only 38 percent of Republicans agree. For members of the public, being right or wrong about climate-change science will have no impact. Nothing they do as individual consumers or individual voters will meaningfully affect the risks posed by climate change. Yet the impact of taking a position that conflicts with their cultural group could be disastrous. … Positions on climate change have come to signify the kind of person one is. People whose beliefs are at odds with those of the people with whom they share their basic cultural commitments risk being labelled as weird and obnoxious in the eyes of those on whom they depend for social and financial support. The complexity of climate science may have made it easier for global warming to get caught up in partisan politics as well. Voters look to the positions adopted by their political party as a kind of mental shortcut when deciding what to make of complicated subjects such as climate change, according to research from Cynthia Rugeley of the University of Minnesota, Duluth, and John David Gerlach of Western Carolina University. That means that if Trump continues to voice climate skepticism after taking office, he could further cement skepticism among conservative voters. “I think it will reinforce climate denial among those who already doubt its existence. To that extent, yes, it will deepen denial,” Rugeley said in an interview. Despite significant pockets of skepticism and denial, particularly among conservative Republicans, there are plenty of Americans across the political spectrum who believe that man-made climate change exists. Gallup recently found that a majority of Americans believe human activity is causing global warming, and feel worried about the rise in temperatures. Concern over climate change increased among Democrats and Republicans from 2015 to 2016 with 40 percent of Republicans and 84 percent of Democrats reporting concern this year. If that concern continues to increase, skepticism may decline over time among American voters. Whether skepticism dissipates or intensifies may depend in part on the actions of the Trump administration over the next four years. If Trump makes climate science and policy a high-profile target, he might provoke a backlash among moderate Republicans who do believe global warming is a serious problem. But skepticism within the GOP could intensify if Trump’s administration publicly misrepresents climate science and dismisses efforts to combat global warming as an expensive waste of time. If that happens, Democrats and liberal activists will counterattack, a dynamic that might cause partisan attitudes to harden further. That could leave the political debate over global warming more fractured than ever. "59 percent of the Republican House caucus and 70 percent of Republicans in the Senate deny the scientific consensus that climate change is happening and humans are the main cause." "The general public is way ahead of Congress — a recent poll found that 76 percent of Americans said they believed global climate change is occurring, including 59 percent of Republicans. And 67 percent support President Obama’s plan to regulate power plants to cut carbon emissions." What's that quote, something like "it's hard to get a man to believe something that's contrary to his job depending on it?" Something like that. I think that's what explains this phenomenon of climate change deniers. Accepting AGW means that we have to change BAU. The corporations depend on fossil fuels to continue doing business. They are the vested interest, and therefor they control the dialogue.